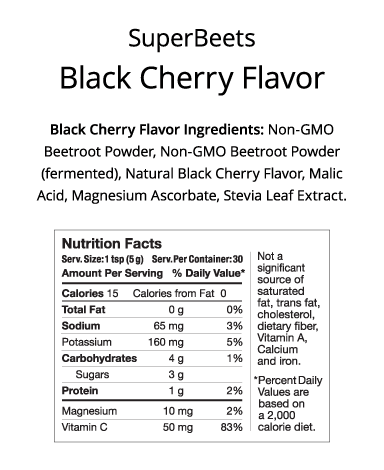 Healthy Nitric Oxide levels support your cardiovascular health, blood pressure, circulation, energy, brain health, and more. 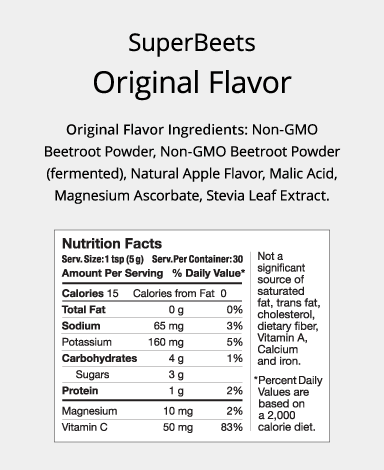 What does The American Heart Association Say About Beets? 1 in 2 adults in the United States should be concerned about their heart health. This is Our Life's Work. Because It Impacts Every Life. A new report by the American Heart Association says 48% of American adults should be concerned about their overall heart health. 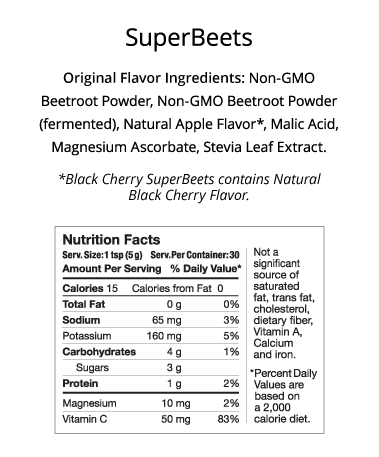 Get More Energy, Feel Better & Support Your Cardiovascular Health with SuperBeets®! Nitric Oxide signals the blood vessels in the body to relax and dilate.This helps deliver oxygen and nutrients to the body through enhanced circulation and greater cardiovascular performance.